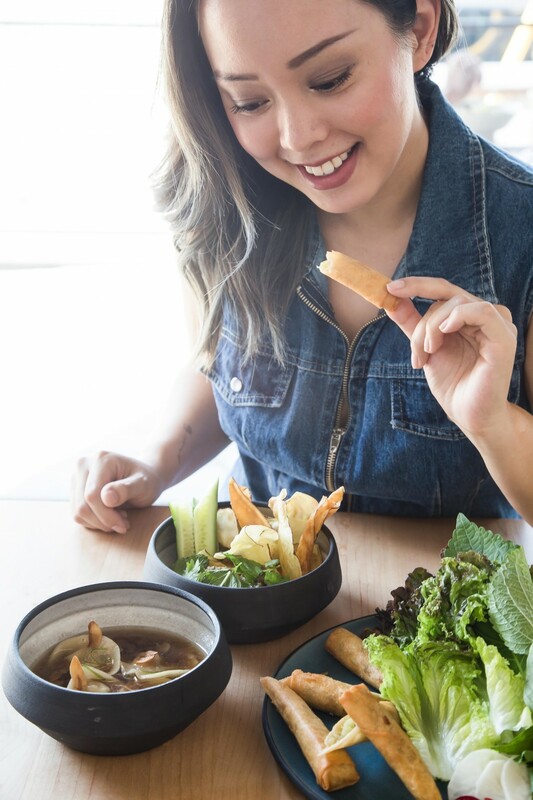 This week I had the pleasure to preview We Have Noodles, a new Pan-Asian Silver Lake Restaurant located at 3827 W Sunset Blvd Suite C in the heart of the Silver Lake restaurant scene. 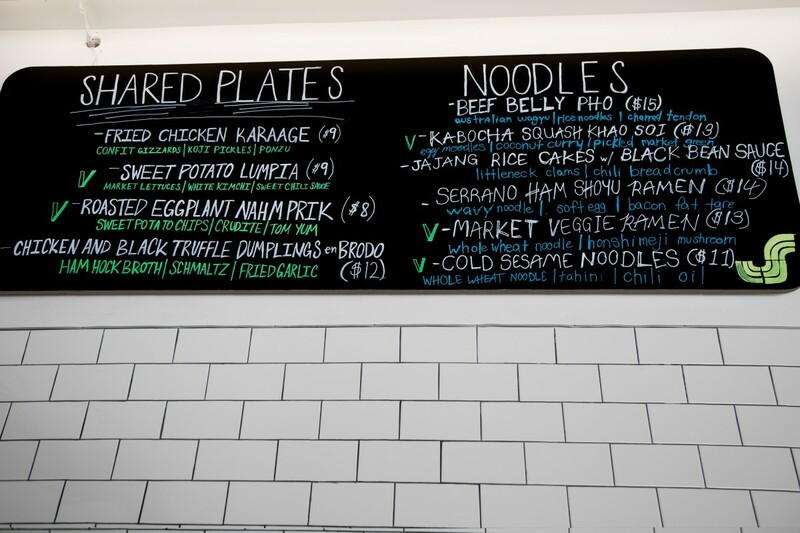 We Have Noodles is created by chef Darren Sayphraraj. During my visit, I tried three shared plates and two entrees. Here are my thoughts on the new restaurant. The name of the resturant is true to the menu. 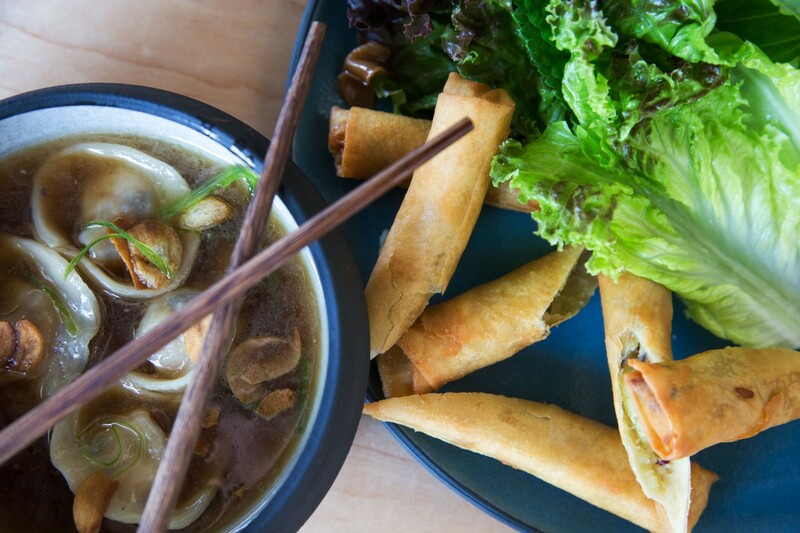 With six different noodle options and a variety of shared plates, come hungry and ready to eat some flavorful Asian food. Served with market letus, white kimchi, and sweet chili sauce. 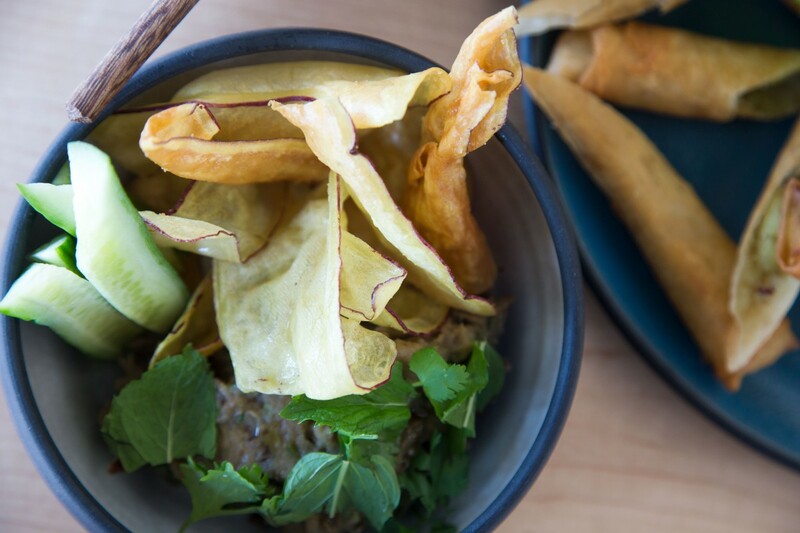 This is a delightful twist on one of my favorite traditional Filipino dishes. Fresh, light, with a crunch. Pairs perfectly by wrapping the lupica with lettuce and dipping in the delicious sweet chili sauce. The sauce itself stands alone. I want to take a batch of the sweet chili sauce home, that’s how good it is. All the flavors and textures really made for a wonderful start. With ham hock broth, schmaltz, fried garlic. My absolute favorite dish of the day. Growing up in a traditional Chinese household and visiting Taiwan every summer has made me a dumpling snob. Chef Darren has impressed me with this dish. The dish is savory and the dumplings melt in your mouth. The broth is flavorful and satisfying. I’ll be coming in often just for the dumplings here. Served with sweet potato chips and crudites. On a hot day, this dip is refreshing, light, salty, and pairs wonderfully with the sweet potato chips and cucumbers. A unique eggplant dish that had a nice texture and blend of flavors. Not overpowering at all, as I’ve found with many other eggplant dishes. 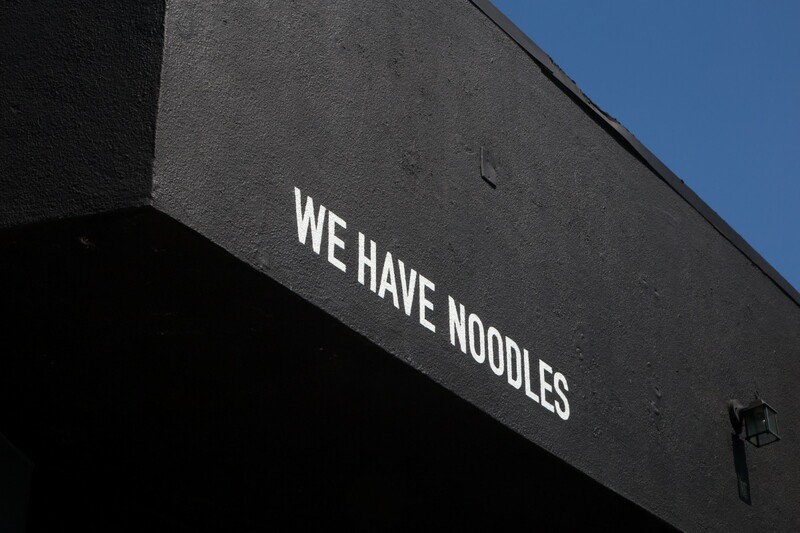 You can’t have a restaurant called We Are Noodles and not talk about the noodle dishes. 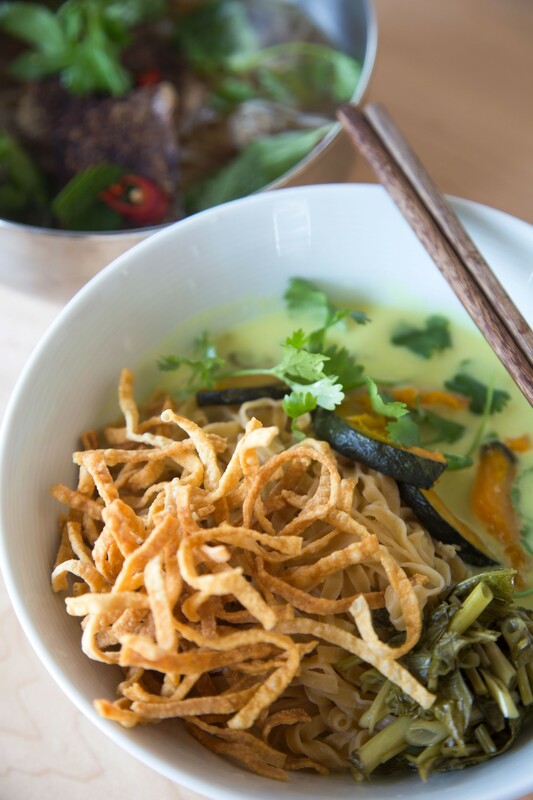 With six different noodle dishes, you’ll find yourself having a hard decision to make. My recommendation is coming with a friend, each ordering a different noodle and sharing. Especially when visiting for the first time. Whole wheat noodles, hashimeji, and mushroom. 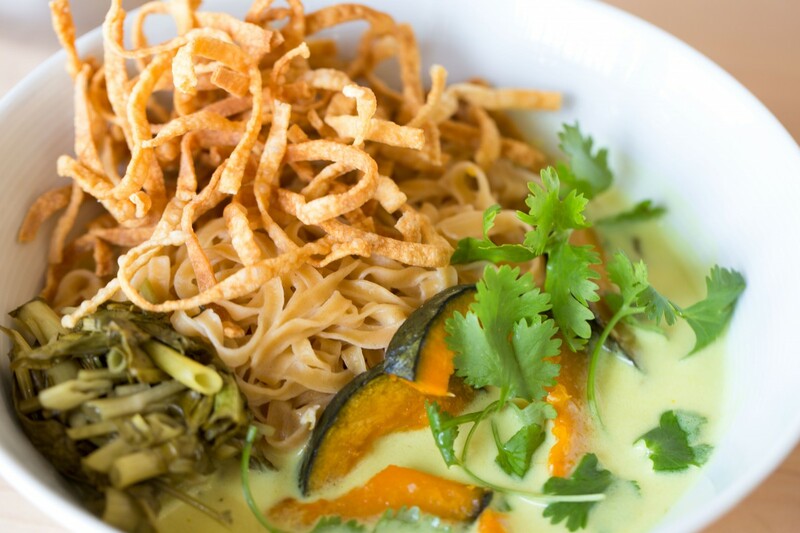 This sweet and hearty ramen reminded me of a sweet coconut curry sauce. I loved the crisps that add a nice crunch to the dish. Overall this dish is satisfying and filling, but keep in mind there is a sweetness to the broth when ordering. I know my husband would prefer the next dish that’s more savory. With a healthy portion of Australian wagyu, rice noodles, and charred tendon. This was my favorite noodle dish. Honestly this is my favorite noodle dish in a long time. Typically I find most Pho dishes to be bland and unsatisfying, however the Beef Belly Pho is anything, but bland. Full of flavor and wagyu, I felt satisfied. 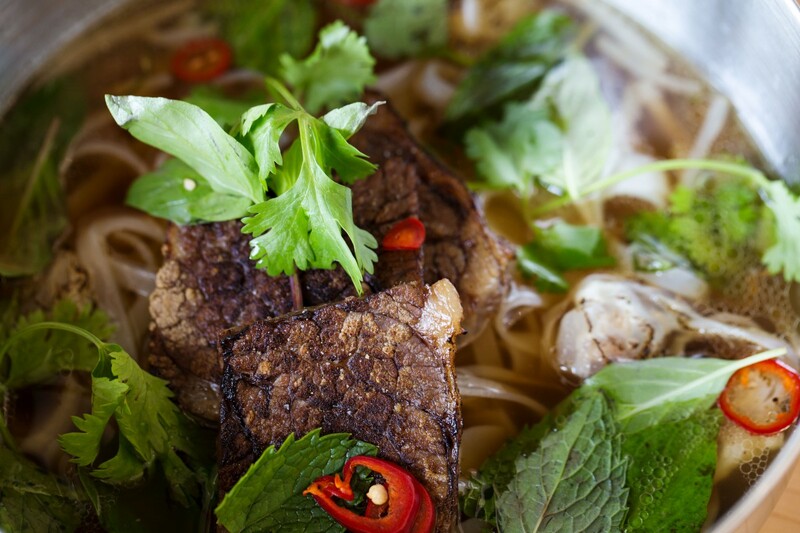 Chef Darren knows how to make a flavorful broth, the most important part of any good Pho. Excellent dish and I highly recommend ordering this if nothing else. I’ll be coming back with my husband who loves Pho. Here are my recommendations for what to order when you visit. In order of must try. Chief Darren mentioned that he’ll be switching up the menu seasonally, so I am interested to see what he’ll come up with. I’ll defiently be visiting again, especially in the fall and winter. What are some of your favorite spots in Silver Lake? Will you try out We Are Noodles next time you’re in the neighborhood? I was invited as media to preview We Have Noodles in Silver Lake. All opinions are my own and 100% honest. YUM this place looks so tasty babe!! I love exploring silverlake for new restaurants and cafes 🙂 It’s the cutest neighbourhood! Yes, I love Silver Lake, have to make more trips out there to explore 🙂 Thanks for stopping by!